Anil Kumble's resignation as India coach following an "untenable" relationship with captain Virat Kohli has left the Indian cricket fraternity with a big question - Who will be the Indian spin great's successor? Almost a year and a half back when Shashank Manohar was the BCCI president, a Q & A session was organised for fans on BCCI's official Facebook Page. BCCI and controversies follow a parallel path. Shastri doesn't apply but Virender Sehwag and a few others do. 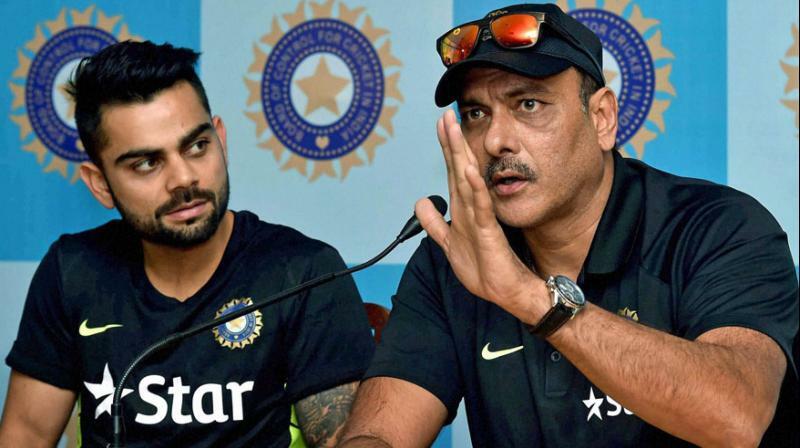 "Yes, I have made a decision to apply for the job", Shastri told the newspaper from London, while denying reports that he would apply for the role only if he was assured of getting it. Kumble spent a year as in charge of the Indian cricket team and his contract as coach ended with the conclusion of the ICC Champions Trophy 2017. "We will have to listen to committee of administrators. I believe it is best I hand over this responsibility to whomever the CAC and BCCI deem fit". He will apply before the July 9 deadline. However, after Anil Kumble's resignation from the post, Shastri's name has emerged as one of the favourites to be appointed to the role. Meanwhile, Ganguly thought Kumble and captain Virat Kohlis dressing room rift after Indias Champions Trophy final loss to Pakistan ought to have been handled in a much better way. We can scream ourselves hoarse that Indian cricket can do without its fans having to constantly read between the lines but has BCCI really cared for the fans? Earlier in between April and June 2016, there was a cold war in between former popular Indian cricketers. It was learnt that if Shastri applies, he will first need an assurance that he will be given a full two-year contract till the 2019 World Cup. Perhaps we must tell ourselves that it is the Kaleidoscope Syndrome. Former skipper Ganguly, in a television interview appeared to bury the hatchet saying, the CAC will "consider the one who can win matches".